Hullo, G here! As previously mentioned, Fauxionista and I visited York, and the last part of our trip was a tour of the York Brewery. She was kind enough to accompany me to the brewery even though she’s not really a drinker. York has a very proud heritage – they can trace parts of the city back twenty centuries, and people have settled there in one form or another since about 8000 years before anyone had even heard of Jebus. It can trace its official founding as a city to the Romans. The Romans who were around just after Caesar. The city was founded so long ago that the calendar they used didn’t have a need for a third digit in the year yet, let alone a fourth. In those days, they likely didn’t have a brewery per se – they probably just had people that made beer, or in their case, “barbarian drink”. To be honest, from what little I remember of Latin class, back then they likely would have had beer in the Roman city of York, but it would have been only for the commoners, largely for medicinal purposes, and not very good. The women would use the beer foam in much the same way that skin cream is used today, so if you can imagine your wife dunking her hands in your beer and smearing it on her face before you started to sip your beer through a husk you’ll get some idea of what beer culture was like when the city was started. Thankfully, that all went out of fauxion some time ago. Two thousand years ago, beer would have been much weaker in both flavour and alcohol content (unless we’re talking about Heineken, I suppose), and would have contained a lot more sediment, and would have been much less consistent from batch to batch. It’s much better today, and the people at York Brewery are responsible for a portion of that! 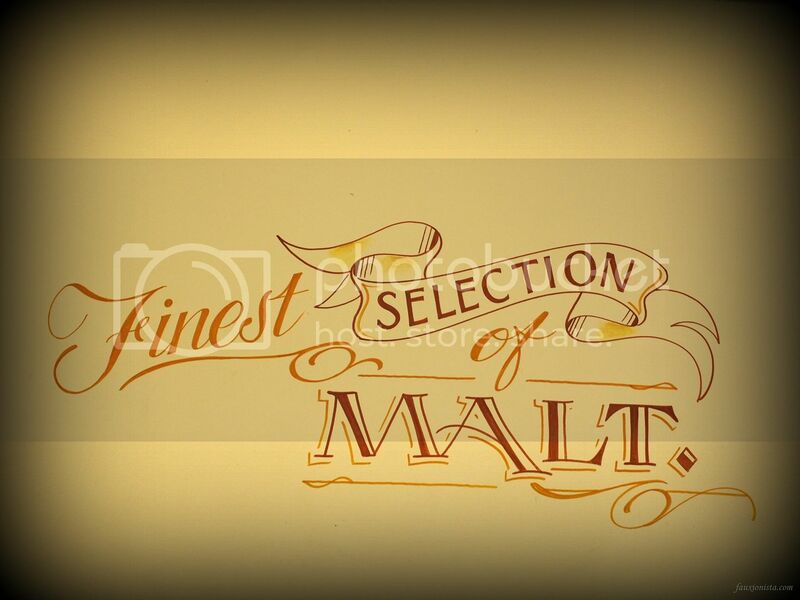 They did have a fine selection of different malts on hand, and we got to taste them! 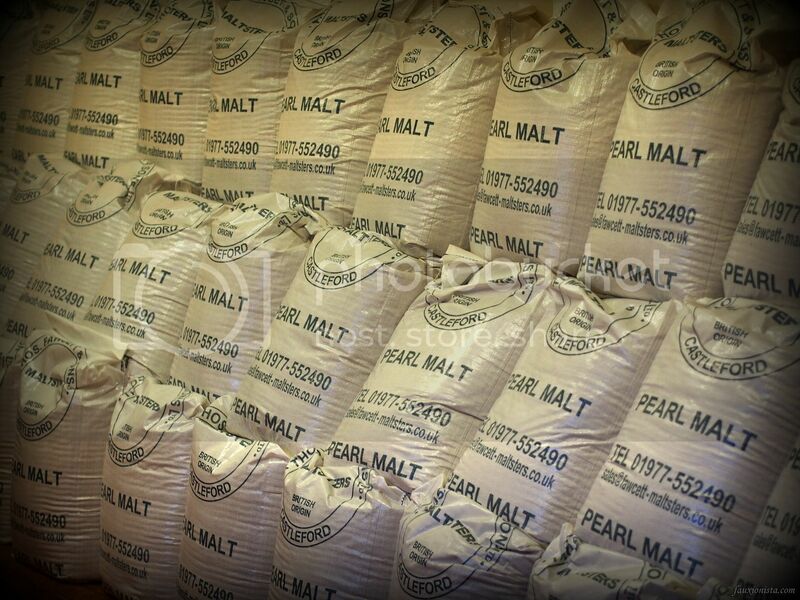 They had the malt piled high on the side of the room – thankfully, this wasn’t what they handed out for tasting. 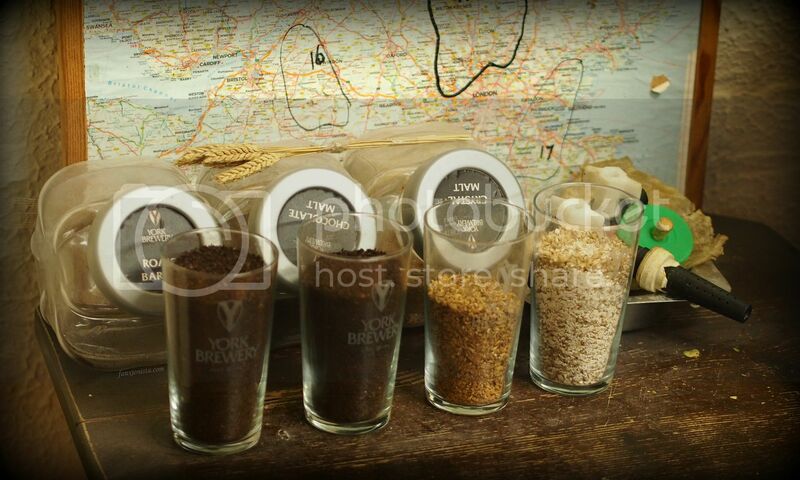 This was what we got to taste – the different types of malts. They tasted a lot like cereal, but the darker ones were better with a fuller taste. 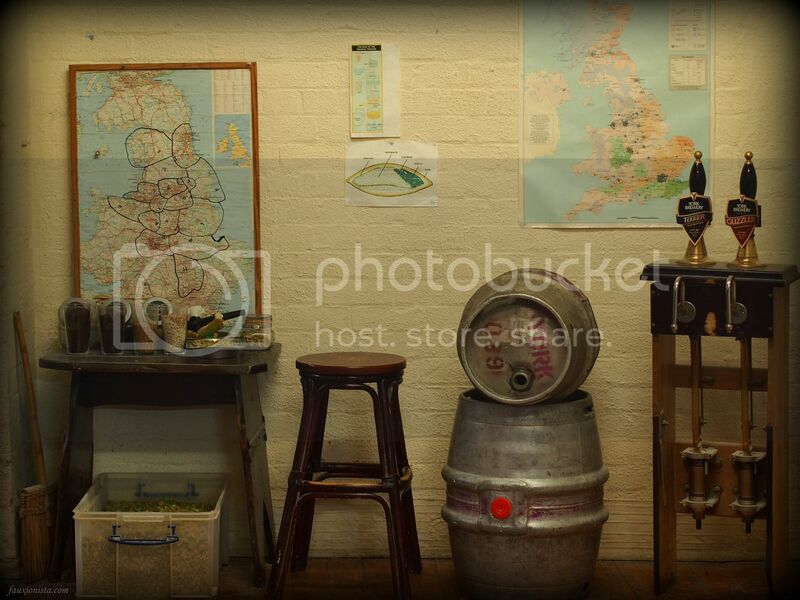 The box on the floor with the handle (lower left) was filled with hops that people could taste. 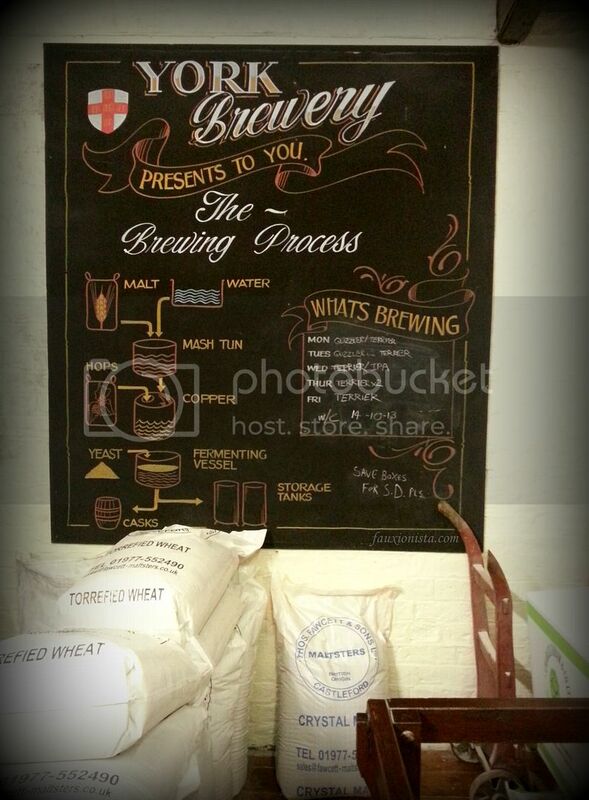 Brewing is a fairly simple process. Brewing well is difficult. 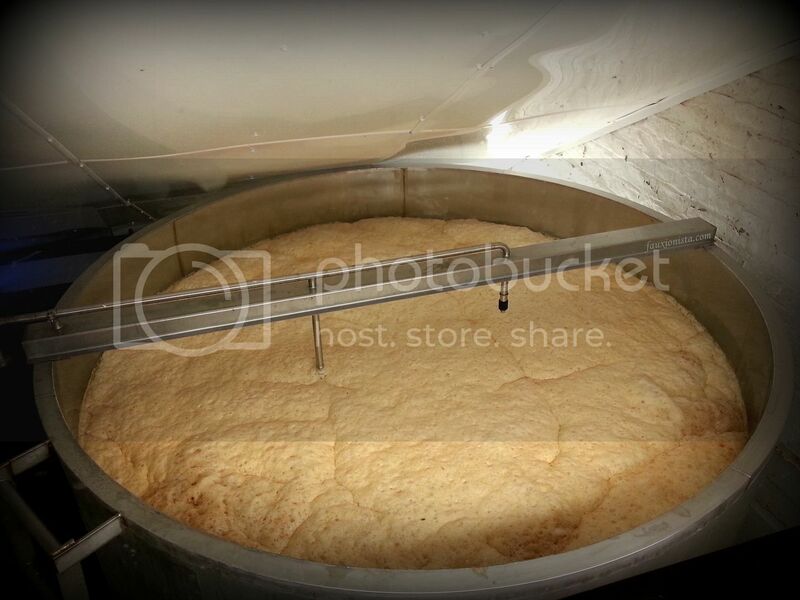 Fermenting beer in a giant vat – essentially a giant beer that’s almost finished being made. The brewing process is fairly straightforward, and rather than relate it here, I’ll provide a link to the Wikipedia article on brewing in case you’re interested. What made this unique was we saw how the people at York Brewery do it to come up with the various flavours they have. 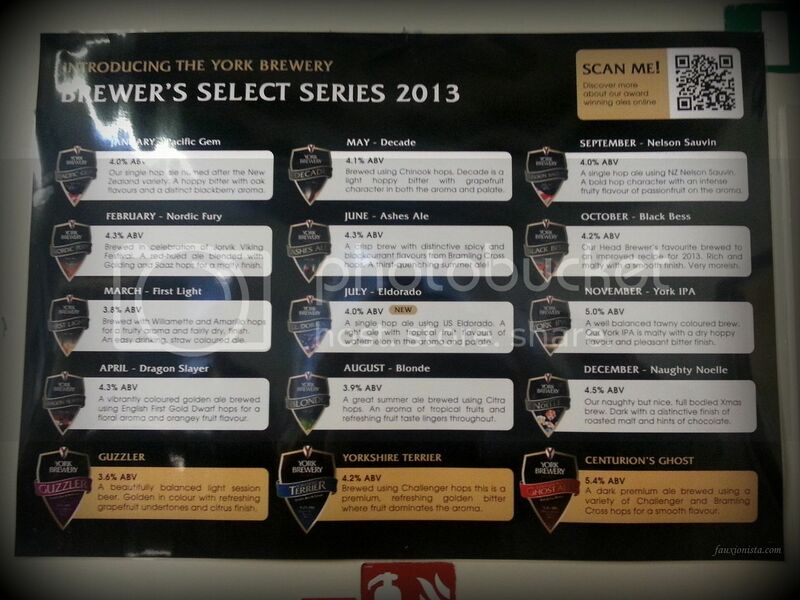 The list of core (yellow) and non-core (white) brews at York Brewery for 2013. After the tour was over, we got to go to the pub portion of the brewery, and actually sample some of the beer! The entry fee gets each ticket holder two half-pints of beer, and since Fauxionista didn’t want hers, that meant that I got to try four different beers! I had previously tried “Centurion’s Ghost Ale”, one of their core beers, the Christmas before last. Additionally, I’d had York Minster Ale which I liked, but a little less than the Ghost Ale, which I think is one of the best balanced beers I’ve had in a while. Given that I’d already had those two ten months earlier, I decided to start with the York Guzzler. Every brewery has a “light summer ale” which is typically more like a pilsner, being lighter in colour and having less alcohol and more ‘zest’. The Guzzler is true to that form, and while good, it was not generally the sort of beer that I go for on a regular basis. (It reminded me a lot of Dogfish Head’s “Lawnmower Ale” actually.) I could see drinking it on a late summer’s evening if it were fairly warm, but I prefer a heavier, hoppier beer. The unfortunately named “Yorkshire Terrier” proved to be worthy of the lacklustre imagination under which it was named, and was the worst of the four beers I tried. There was a confusing element to the taste (never good). It wasn’t entirely unpalatable, and I did finish the sample, but I probably wouldn’t buy it. The York IPA was significantly better. Since I do prefer hoppy beers, this was quite pleasant to drink. The hops that York Brewery uses actually come from mainland Europe (we learned on the tour), which is ironic insofar as Kent (in Southeast England) is known for producing hops. (They do get some from there, to be fair.) (Another aside – my Dad, who was born near Kent, would often go hop-picking on family vacations in Kent as a boy.) It’s not as hoppy as I would have liked – but it was still quite smooth with a slightly bitter aftertaste which gave it a nice finish. I next sampled the “Black Bess”, a dark beer with a dark malty colour, not unlike Guinness. It’s colour was the only thing that it shared with Guinness, though, and that is a good thing – it has its own unique flavour palette, and while I generally don’t like roasted malt beers (they often taste too much like coffee), this one was actually fairly pleasant. It did have a taste of coffee to it, but the sugars in the beer offset that for the most part. It would still lose in a head-to-head competition with the Centurion’s Ghost Ale, which is also a malty roasted beer but definitely the better of the two. 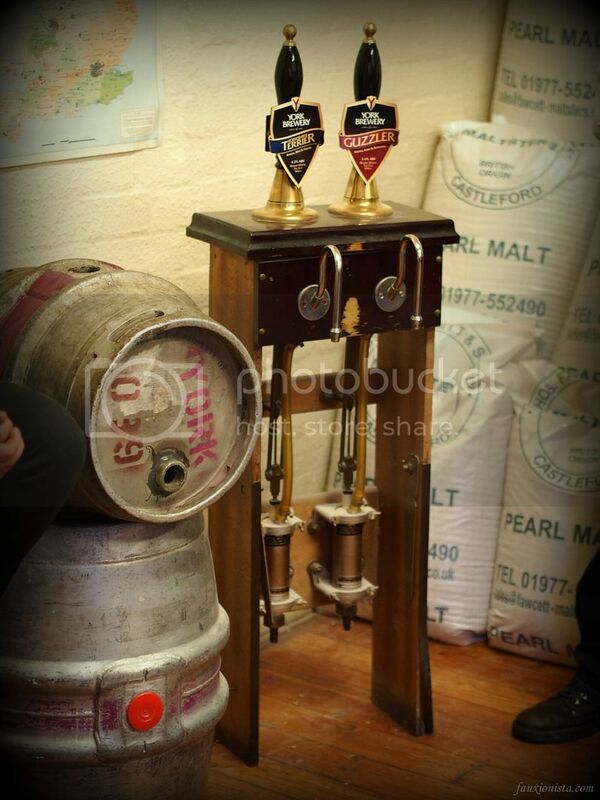 If you’re in York, and you enjoy beer and/or brewing, I would recommend York Brewery! It’s the only brewery in York (and in the city proper, at that), but as microbreweries go it’s a pleasant experience with a friendly atmosphere and some enjoyable beers. This entry was posted in England, Food, Travel and tagged barley, beer, black bess, brewery, centurion's ghost ale, guzzler, hops, ipa, kent, malt, yeast, York, yorkshire terrier on January 12, 2014 by G.